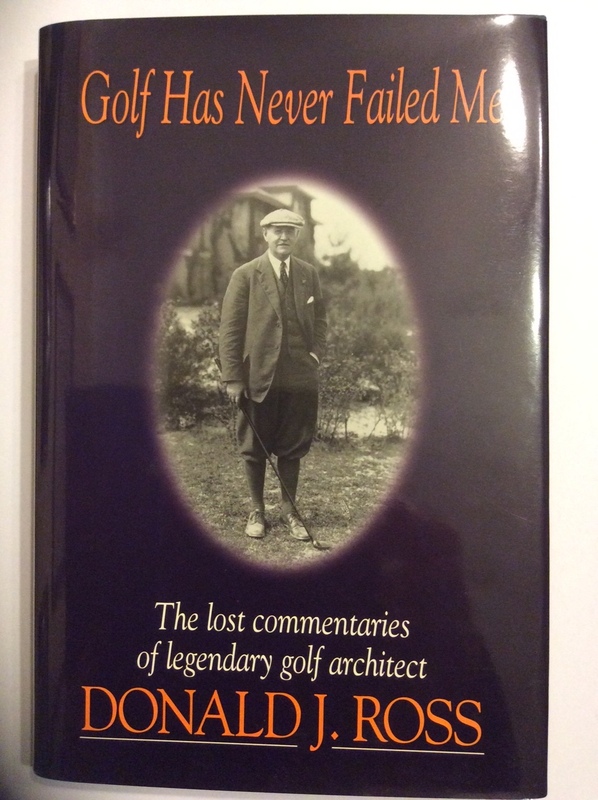 Donald Ross, whilst a competent player, owes his golfing fame to the quality and quantity of his course design work. He is undoubtedly one of the most revered architects in history. As he was born on this day in 1872 I thought a snapshot of his life would be in order. 1. Donald James Ross was born in Dornoch, in the Highlands of Scotland on 23rd November 1872. He left school at 14 and completed a carpentry apprenticeship. 2. He was introduced to golf at Dornoch Golf Club (established in 1877), where he caddied and played from a young age. 3. Having met Old Tom Morris, who formally laid out the famous Dornoch Links in two separate visits in 1886 and 1892, Ross spent 1893 working with him in St. Andrews. After another apprenticeship in Carnoustie in 1894 he was appointed Head Professional, Clubmaker and Greenkeeper at Dornoch. 4. In August 1898 Robert Willson, a visiting Harvard professor, suggested that Ross may like to try his hand in the USA. Willson was involved in a new course, the Oakley Country Club in Watertown, Massachusetts, and was confident he could find him more highly remunerated work. Ross used all of his life savings to take up this opportunity in April 1899. He quickly set about re-building the course he found at Oakley – his first design. 5. It was while in Massachusetts that Ross was introduced to James W. Tufts, the soda fountain businessman. When Tufts decided to professionalise his golf offering at his newly established health resort, called Pinehurst, in North Carolina it was Donald Ross that he turned to in 1900. A winter season arrangement was established and the long association between Ross, the Tufts family and Pinehurst commenced. Ross completed a new 6,023 yard No. 2 course in 1907 and went on to design all four courses that were in play by 1923 – all with oiled sand greens. He continued to tweak the famed No. 2 and in 1935, ahead of the PGA Championship, transitioned the greens to bermuda grass. 6. He had a reasonably successful playing career despite his many other duties. He won three North and South Opens (1903, 1905, 1906), albeit it in this tournament’s very early days, and two Massachusetts Opens (1905, 1911). More impressively he finished fifth in the 1903 US Open and eighth in the 1910 Open Championship at St. Andrews on a rare visit home. His brother Alec, who Donald had encouraged to come over from Scotland to support him, won the 1907 US Open. 7. Having left his fiancé Janet Conchie in Scotland he briefly returned in late 1904 to marry her and bring her back to the US now he was more settled. On 18th October 1909 Lillian their only child was born. A modest family man Ross became a U.S. citizen in 1921 a year before Janet died. Donald married Florence Blackington two years later. 8. Donald J. Ross and Associates, as his design practice was known, went onto to build over 400 courses in the US between 1900 and 1948. With main offices in Little Compton, Rhode Island (summer) and Pinehurst (winter) he worked closely with his design assistants J.B. McGovern and Walter Hatch. By 1925 he was employing 3,000 staff and earning a fortune from his work. In addition to Pinehurst No. 2 Ross also designed the renowned Aronimink, Interlachen, Inverness, Oak Hill, Oakland Hills and Seminole. Well over 100 major championships have now been hosted on ‘his’ courses. Ross was famous for his subtle attention to detail, his routings that used the natural lie of the land efficiently and his crowned greens that were designed to repel weaker shots. 9. All of his architectural thoughts can be found in ‘Golf Has Never Failed Me’, published in 1996, and largely based on a lost Ross manuscript. 10. 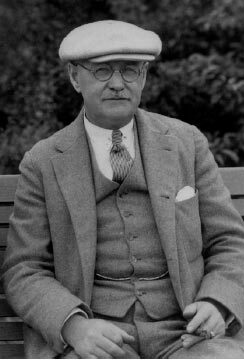 Donald Ross also designed a set of clubs (the ‘Bristol Woods’), established he first indoor golf school in America (in Boston) and also created the first practice and lesson range (‘Maniac Hill’ at Pinehurst). 11. Ross died on 26th April 1948, aged 75, while designing Raleigh Country Club in Raleigh, North Carolina. 12. 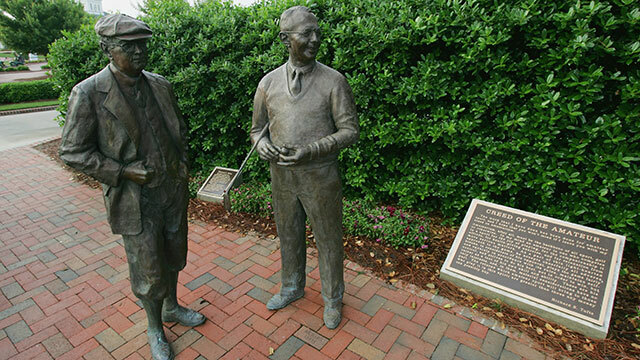 Ross was a founding member and the first President of the American Society of Golf Course Architects (ASGCA), which was formed at Pinehurst in December 1947. The prestigious ‘Donald Ross Award’, the ASGCA’s highest honour, has been presented annually since 1976 to those individuals who have made significant and lasting contributions to the profession. Bradley Klein (see 14. below) was recently announced as the 2015 recipient of the award, the 40th winner. He will be presented with it at the 69th ASGCA Annual Meeting in La Jolla, California, next March. 13. Donald Ross’ standing in the game was recognised when he was admitted to the World Golf Hall of Fame in 1977. 14. 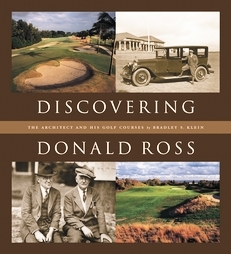 Bradley Klein’s 367-page biography ‘Discovering Donald Ross: The Architect And His Courses’ was published in 2001 after three years of painstaking research. It won that year’s United States Golf Association’s ‘Herbert Warren Wind Book Award’. 10,000 copies of the first edition were published. A newly Expanded Edition was released in 2011 with 2,160 copies printed. Since its original release the appetite for Ross restoration’s and the regard for ‘classic-era’ early golf course design has grown considerably. 15. Earlier this year Cob Carlson produced a documentary film ‘Donald Ross: Discovering The Legend’. More information on this project can be found at www.donaldrossfilm.com and I understand a DVD can still be acquired. This entry was posted in Golf Architect Profiles and tagged Donald Ross, Golf Architect Profiles. Bookmark the permalink.